Most people who are starting a new business are skeptical of a number of marketing methods including YouTube. Well, you shouldn’t be and by the time you are done reading this, you will have a reason to incorporate it in your marketing strategies. To think of it, some of the best and most popular videos are not professionally done, they are just about funny things or people talking to their target audience about things that they can relate to and use in bettering their lives – That is an important tip right there! Below are a number of tips you can use to market your new business and be successful in doing it. It is important to be unique and original because it makes you stand out but not in everything. You cannot wear different shoes to make you unique, it wouldn’t make any sense. Do not try too hard to reinvent the wheel, just look around and watch a number of videos related to your business and find out what works and what doesn’t. Look for the videos in your industry that have the highest number of views, likes and subscribers and find out which strategies they are using. Keywords are the terms that people use in searching for specific websites or content. On the other hand, search engines use them to locate you and present your content to the users. This means that they are the bridge connecting you to your consumers and thus they should be used appropriately. It can never be emphasized enough that you need to research to find the best keywords that will attract qualified traffic. Since your business is new, try as much as you can to use keywords that you want your business to be found through because this early stage is crucial. Use the keywords on your description, title and tags. As much as people do not want you hard selling to them, they will want to know what you want them to do after watching the video. Your video has a purpose and the purpose is to create an audience or increase traffic to your business pages. YouTube provides you with tools such as annotations which are overlay texts that can be included in the video. You can use them for your ideal call to action such as ‘Subscribe to my channel, Like me on Facebook, visit my blog or site, Follow me on twitter, post a comment please’ and much more depending on what you want. 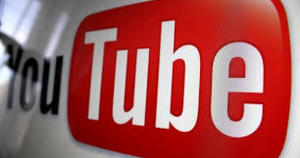 Since your business is new, you probably have a new YouTube channel without many subscribers. For this reason you need to spend time in promoting the video to increase the likes, views, subscribers, and comments. This is because they are all used by search engines to increase the visibility of that particular video. You can simply use your blog by embedding the video, tell friends to watch, comment and like, share on social media platforms and write articles about the video among many other ways. When posting the video, do not concentrate too much on telling people to buy your products and services, they will run despite the benefits of what you are offering. Give it a softer approach by creating a marketing funnel. Let the audience see you as a business that offers a solution instead of a business that wants to sell some products. Direct them to more videos or to pages that contain important information that will improve their lives and your campaigns will push your young business to early success.